Income illegally obtained or not declared for tax purposes. E.g-1. Tax authorities are trying to stop the flow of black money into undeclared bank accounts. 2. 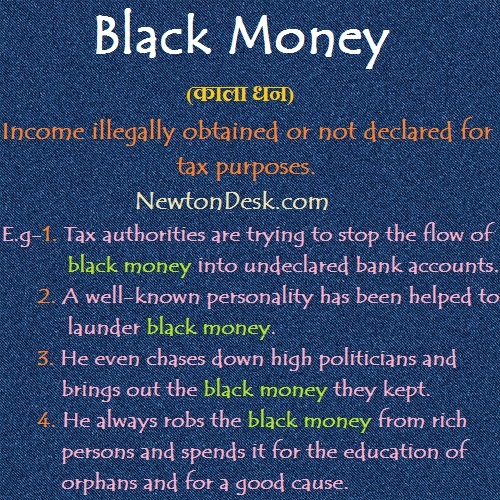 A well-known personality has been helped to launder black money. 3. He even chases down high politicians and brings out the black money they kept. 4. He always robs the black money from rich persons and spends it for the education of orphans and for a good cause.